India has taken a giant leap in its space program by launching an unmanned probe to Mars. 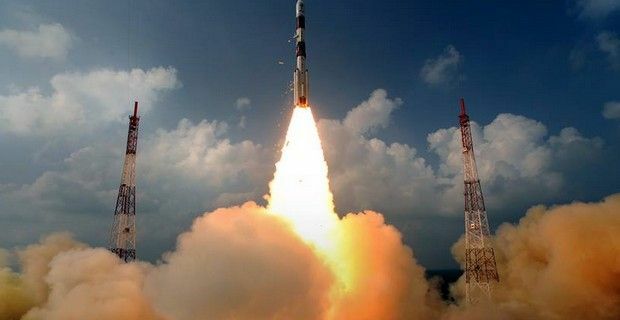 The Mars Orbiter Mission (MOM), took off on Tuesday at 09:08 GMT from the Satish Dhawan Space Centre located near Chennai, on the country's east coast. Prime Minister Manmohan Singh had announced the mission on India's Independence Day last year after China’s failed attempt to launch an orbiter aboard a Russian rocket. The ambitious attempt is aimed in developing the technology to design and conduct interplanetary missions, and the spacecraft will explore the surface features, atmosphere and geology of Mars and also search for methane, which would lend weight to the idea of Mars being able to support life. Only the United States (NASA), Russia (Roscosmos) and the European space agency (ESA) so far have been successful in reaching the Red Planet, and India wants to become the first Asian country to do so, in what many analysts believe to be a ‘space race war’ against China, even if the Indian Space Research Organisation(ISRO) has denied it. ISRO chairman K Radhakrishnan however has played down talk of a race between China and India in space, and said : "We are not in a race with anybody, but I would say we are in a race with ourselves. We need to excel, we need to improve, and we need to bring new services. Each country has its own priorities." The spacecraft which is also known as Mangalyaan (Mars-craft in Hindi) will travel for 300 days and 780-million km before reaching the orbit of Mars in September 2014 and will spend at least six months investigating. The mission has been dubbed ‘low cost’ because it will cost only $72million(£45m), and the event was broadcast live. Despite the ‘lower costs’ of the mission, it has been amply criticized because the country still has millions of people who live in poverty and despair and many believe the money could be better spent, while India claims that the mission will yield technological advances that will bolster the country’s economy.